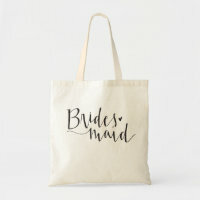 It is nice to say thank you to your bridesmaids. 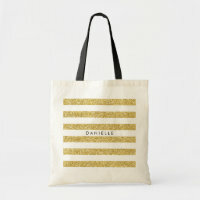 One way to say your thanks in a permanent way is to give the gift of a Tote bag. 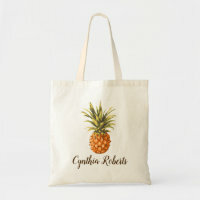 Tote bags are available in a range of sizes; from small, about large enough to carry a paperback or two, to the largest bags which can allow you to carry towels, sun screen and other essentials to the beach or pool for the day. 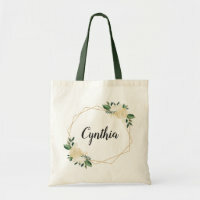 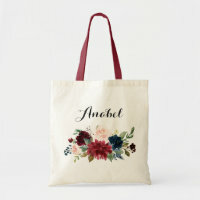 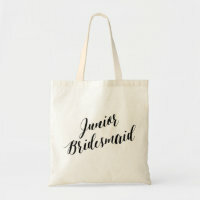 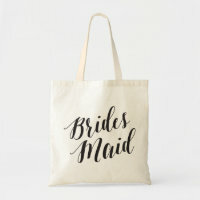 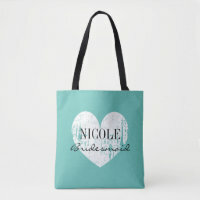 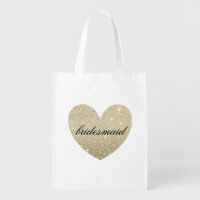 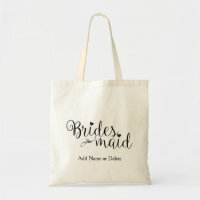 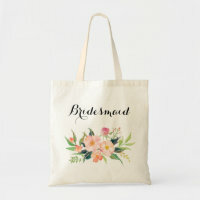 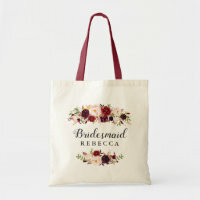 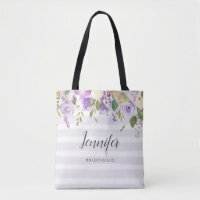 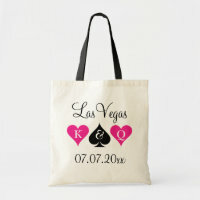 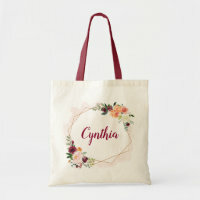 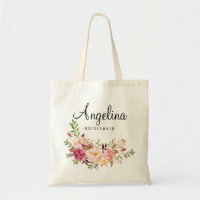 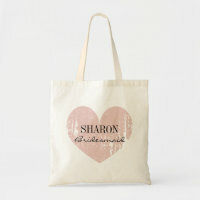 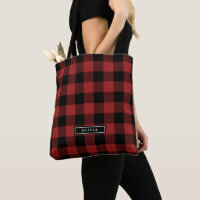 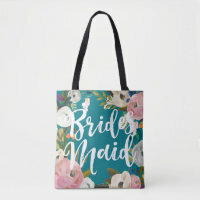 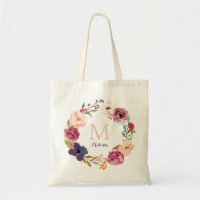 Totes also are easily customized using the zazzle customize option provided on many of the designers pages. These options allow you to change scripts, messages and colors of the bags. 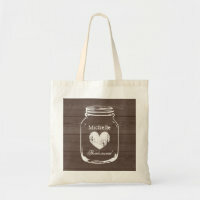 To save an image to pinterest just hover over the image with your mouse and a pin icon will appear. 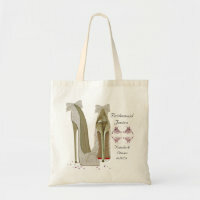 Click on the pin it icon to save the link to your pinterest board.